MONTHLY photos contributed by our members for September - 2018. 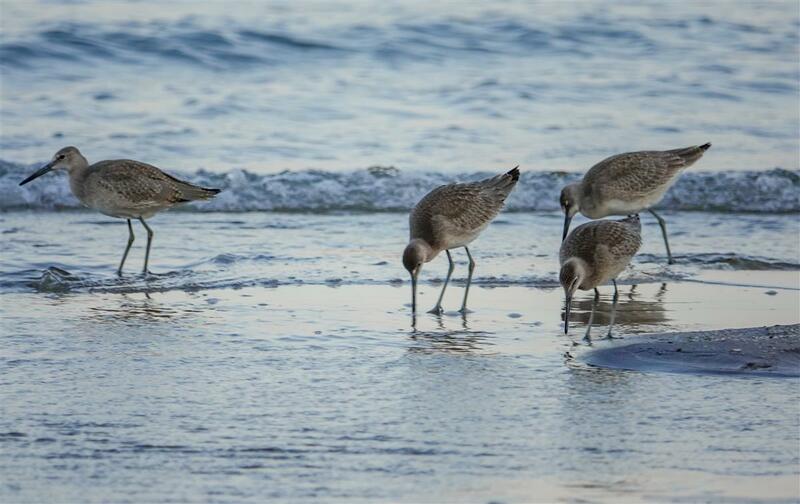 Four Willets on the beach at Wright Park in Dunkirk on September 1st. 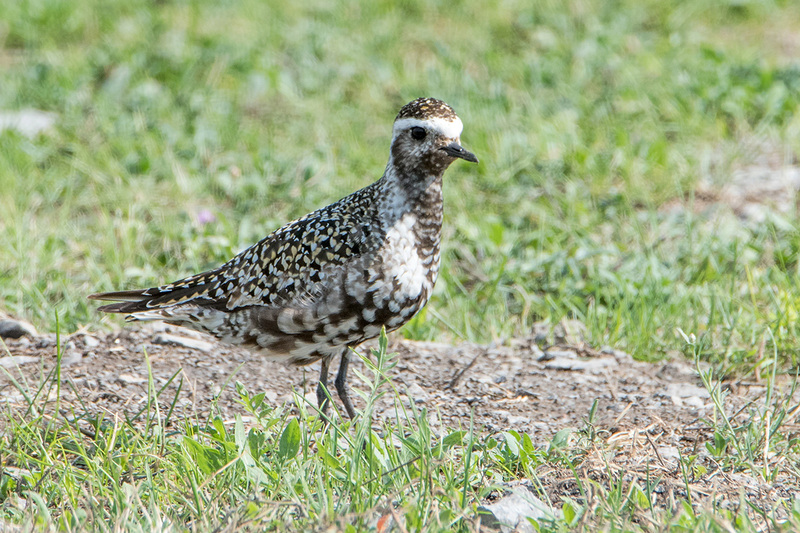 After a brief rain storm in Buffalo, Sue Barth found two American Golden-Plovers in the short grass area near the Seaway Slip along the Outer Harbor on the 2nd. This location is fairly reliable for this species, especially so after rain/thunderstorms. Another image of American Golden-Plover by Sue Barth at the Seaway Slip along Buffalo's Outer Harbor on the 2nd. 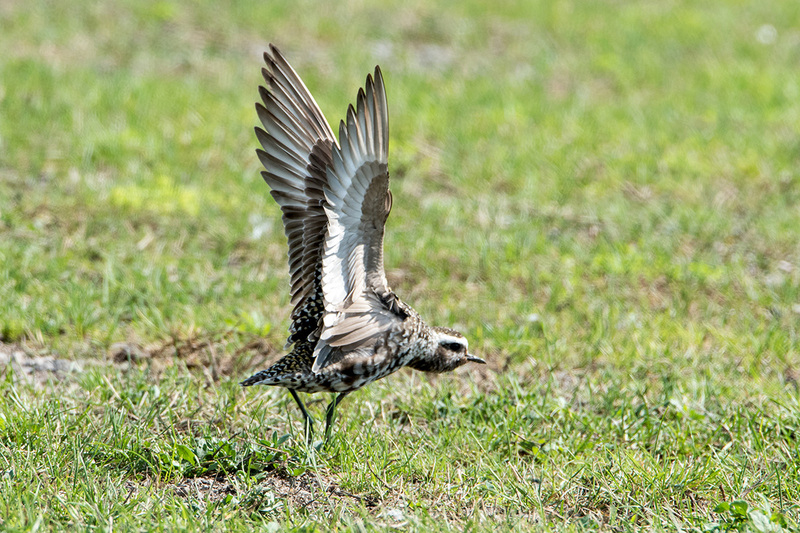 This short grass portion of the waterfront is attractive to 'grasspipers' such as Killdeer, Baird's Sandpiper, Golden-Plover and several other species. 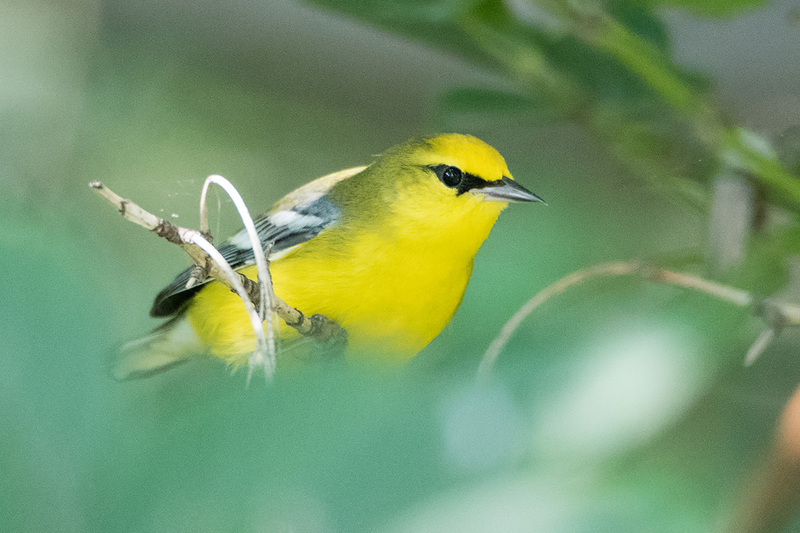 Blue-winged Warbler up close and personal at Woodlawn Beach SP on the 3rd. Photo by Sue Barth. 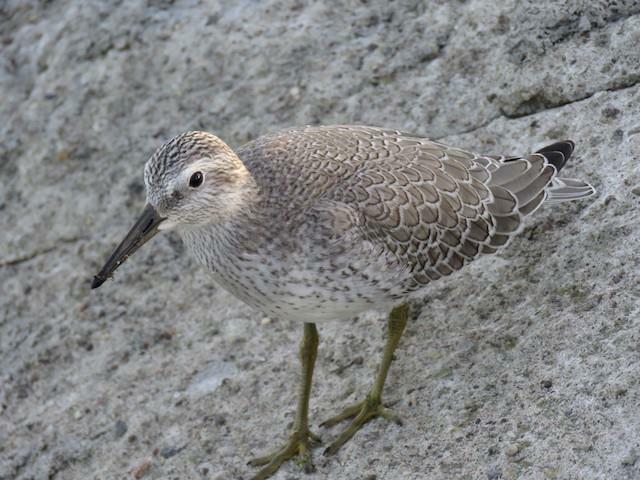 The confiding juvenile Red Knot continued to 'wow' observers along the Bird Island Pier into September. 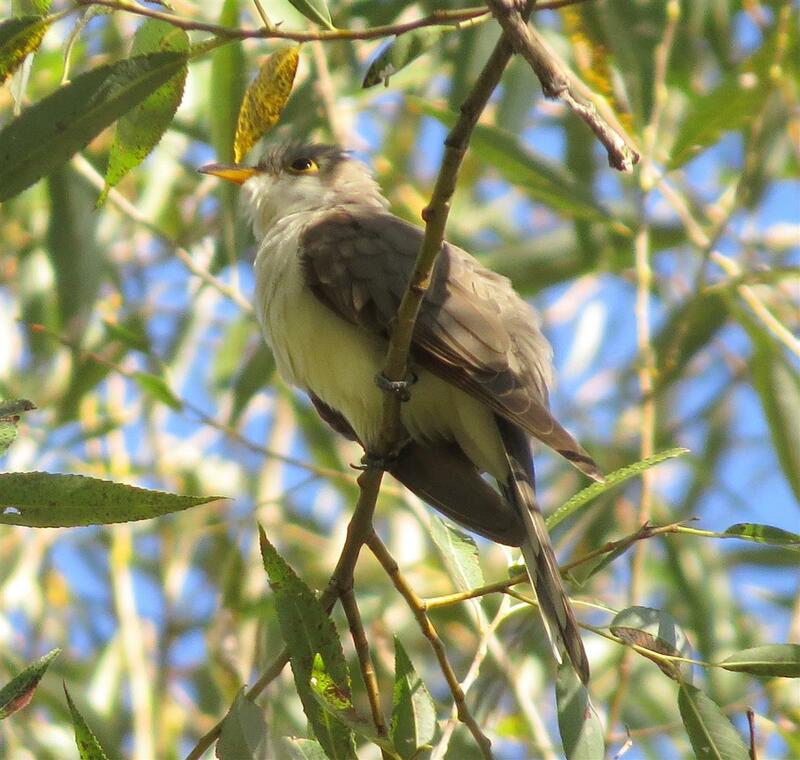 This individual was a lifer and/or county bird for many local birders. Photo by Alec Humann on the 3rd. 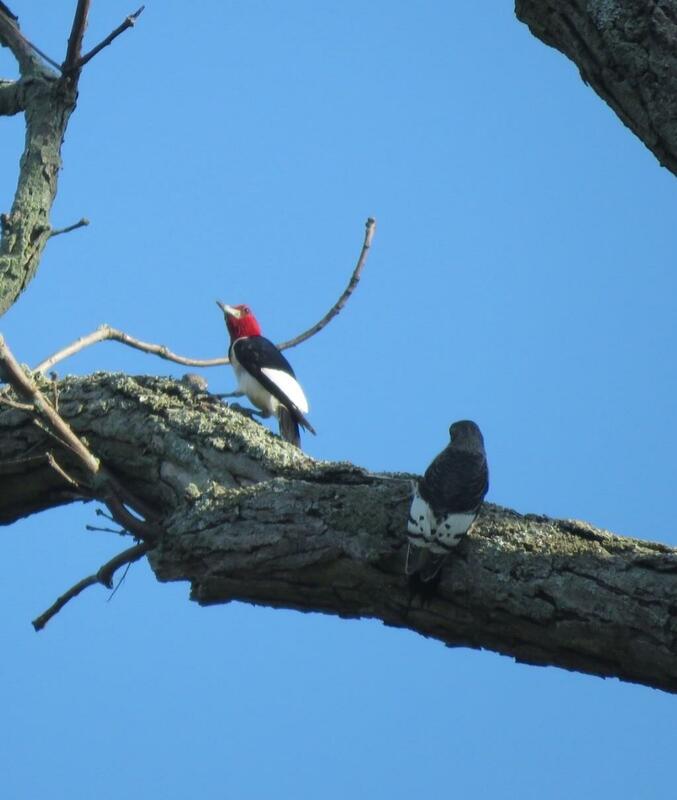 Tom Connare verified nesting Red-headed Woodpeckers in Delaware Park along the ring road. 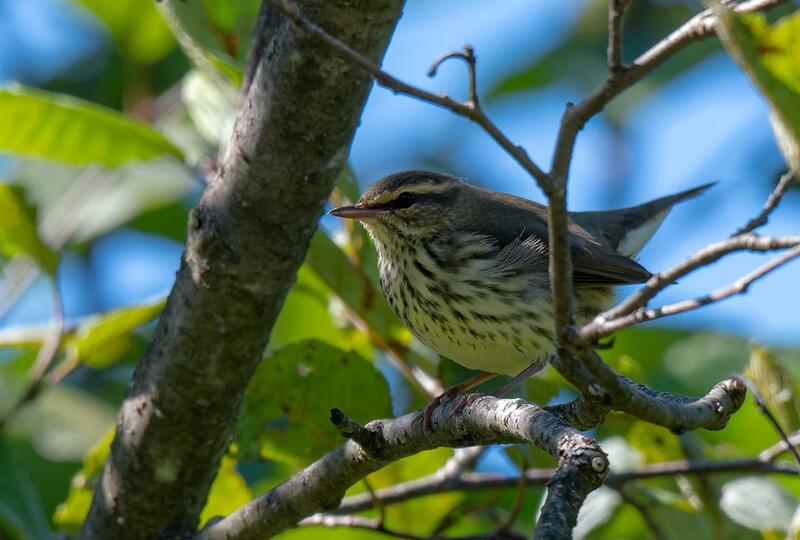 This species historically nested at this location but hasn't been reported in over a decade. Photo taken by Connare on the 3rd. 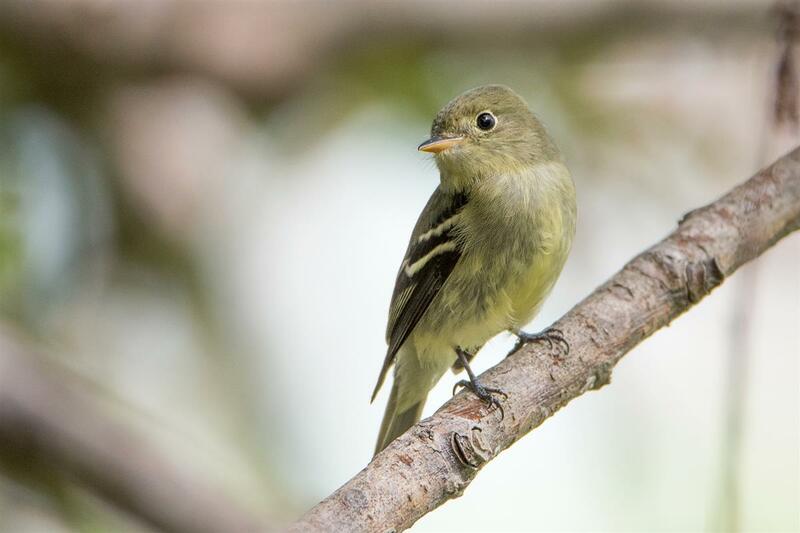 An obliging Yellow-bellied Flycatcher at Times Beach on the 11th. 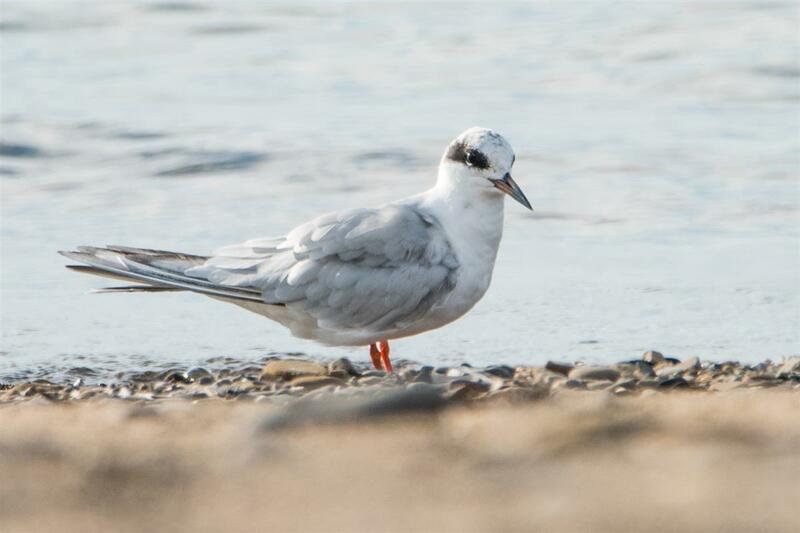 A young Forster's Tern and an adult were found both loafing with several Common Terns at the water's edge at Hamburg Beach on the 13th. Pictured here is the juvenile. 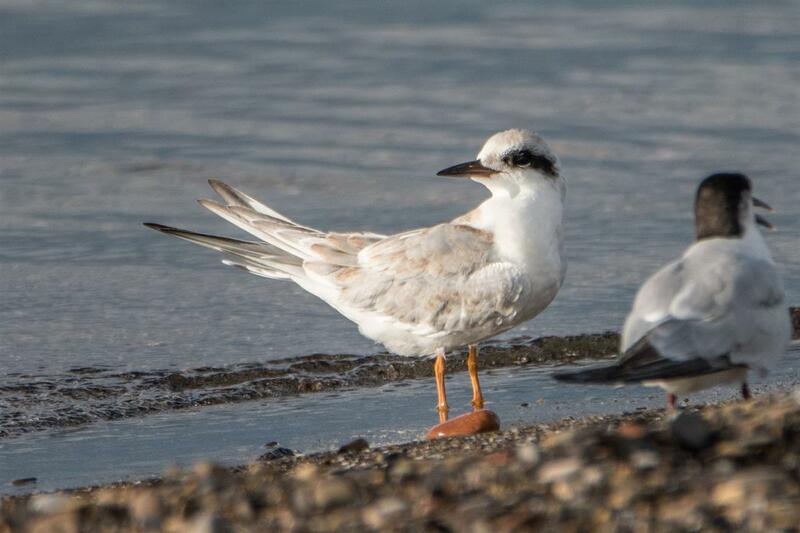 This is the adult Forster's Tern that was found with the juvenile on the 13th at Hamburg Beach. 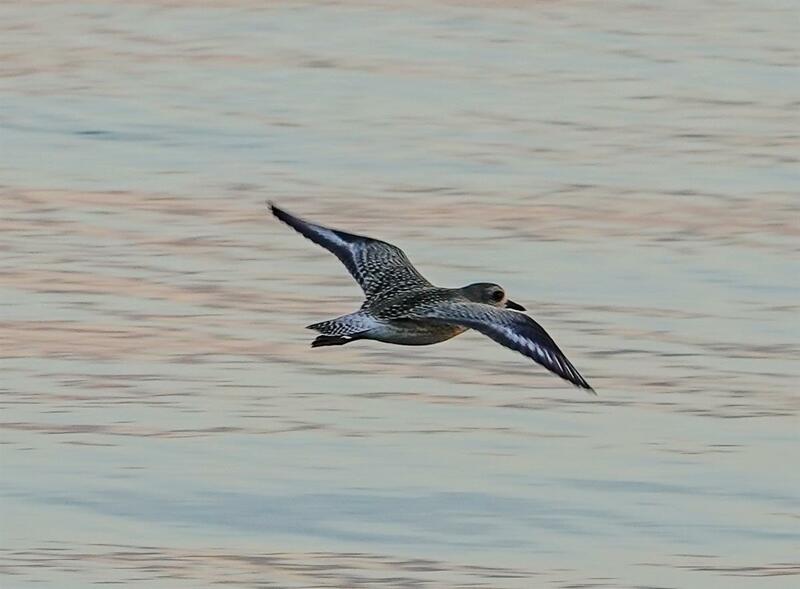 Black-bellied Plover in the Dunkirk Harbor on September 15th. 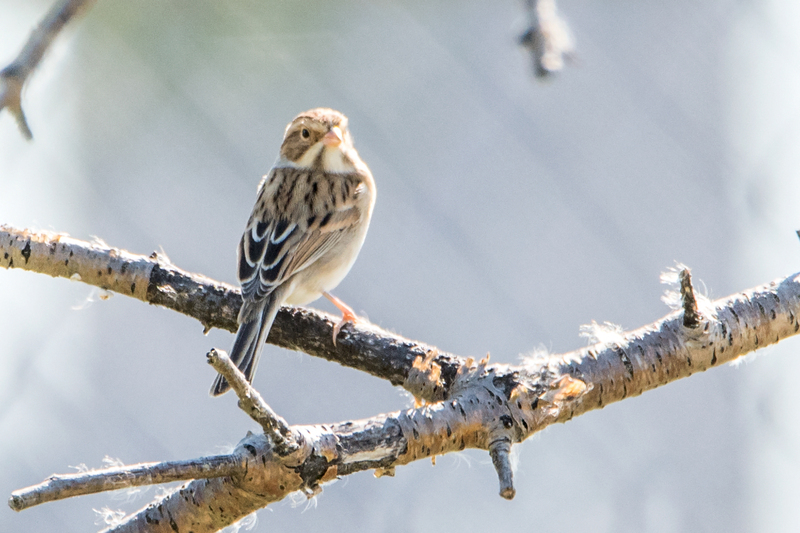 An uncommon visitor to Erie County, this Clay-colored Sparrow spent the morning of the 24th at Times Beach Nature Preserve. 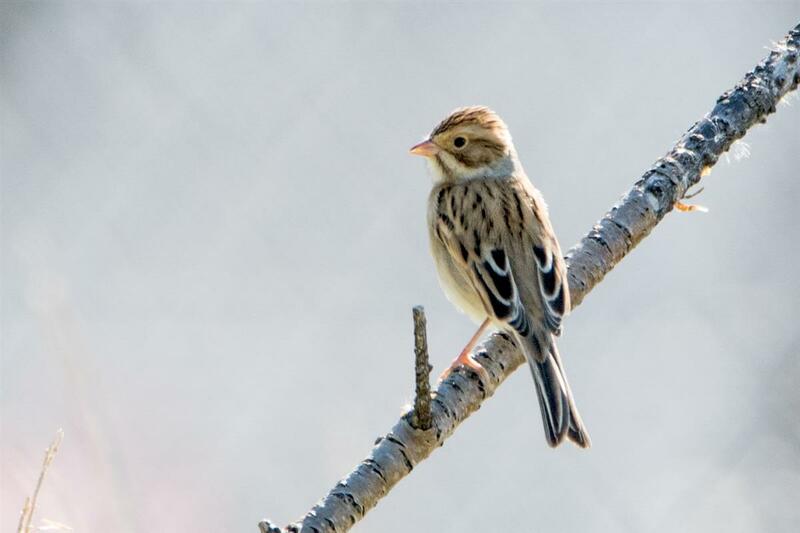 Another angle of the Times Beach Clay-colored Sparrow found and photographed by Sue Barth on the 24th. 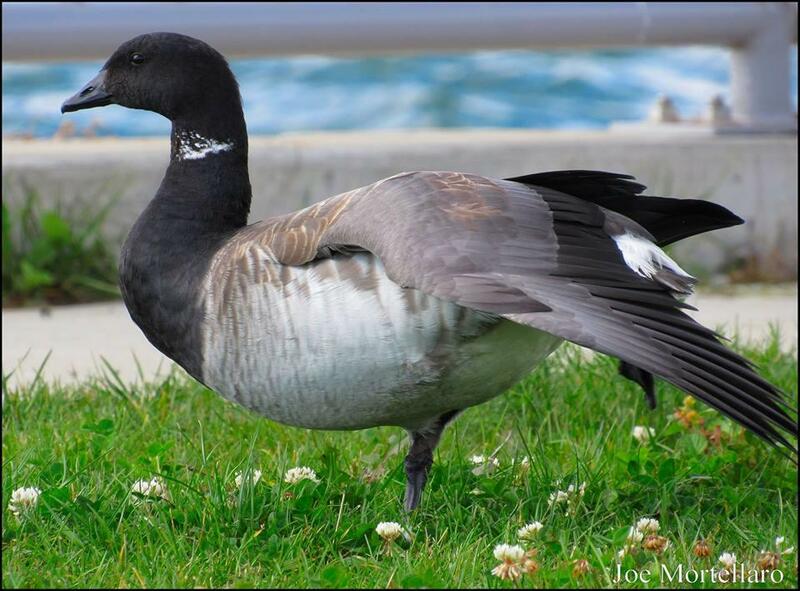 Joe Mortellaro discovered and photographed this Brant at the foot of West Ferry Street (Broderick Park) on the 27th. 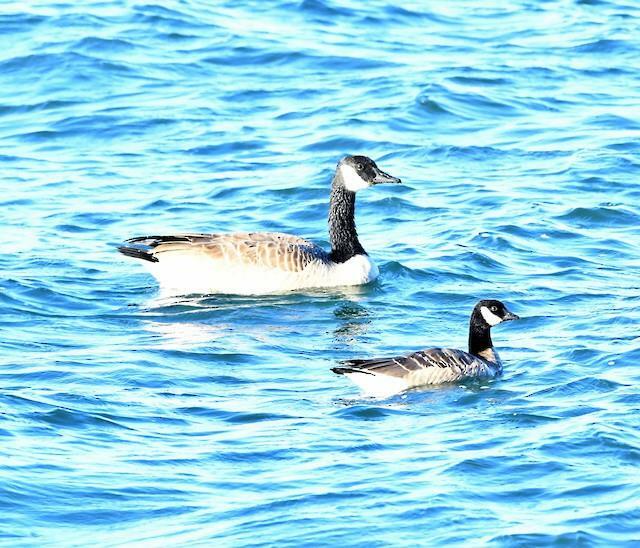 This species is unusual for Lake Erie and the Niagara River, however many hundreds use Lake Ontario during migration. 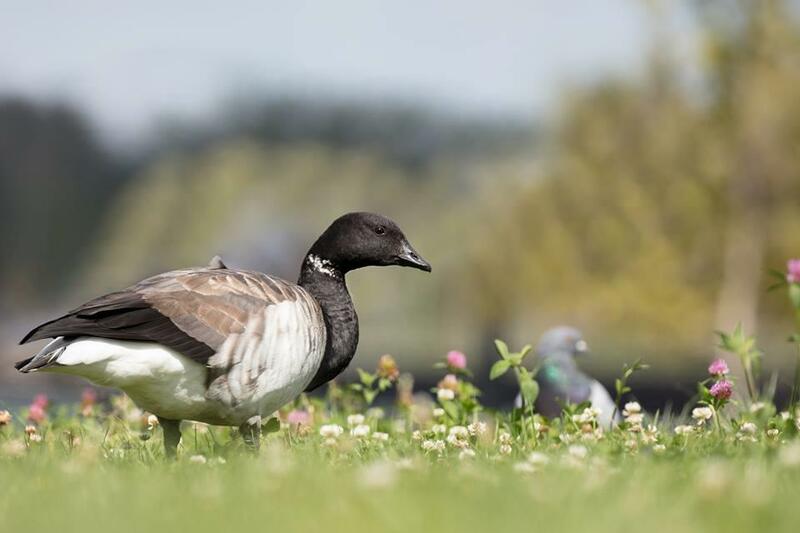 Mortellaro's Brant continued into the 28th but had moved to Black Rock Canal Park where Tony Dvorak took this photo. 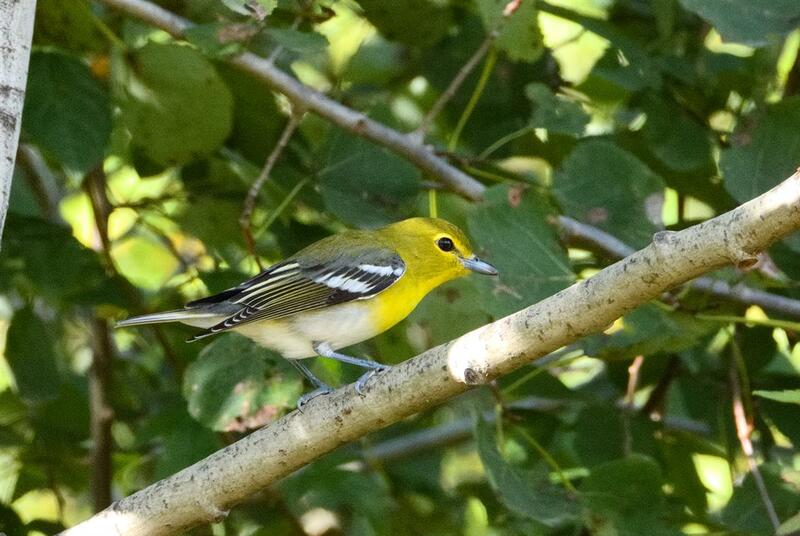 Joe Mortellaro took this photo on the 28th at Black Rock Canal Park, the second day of the Brant's visit. This photo nicely shows the molt pattern on this bird...the older brownish juvenile feathers being replaced by the grayish adult feathers. 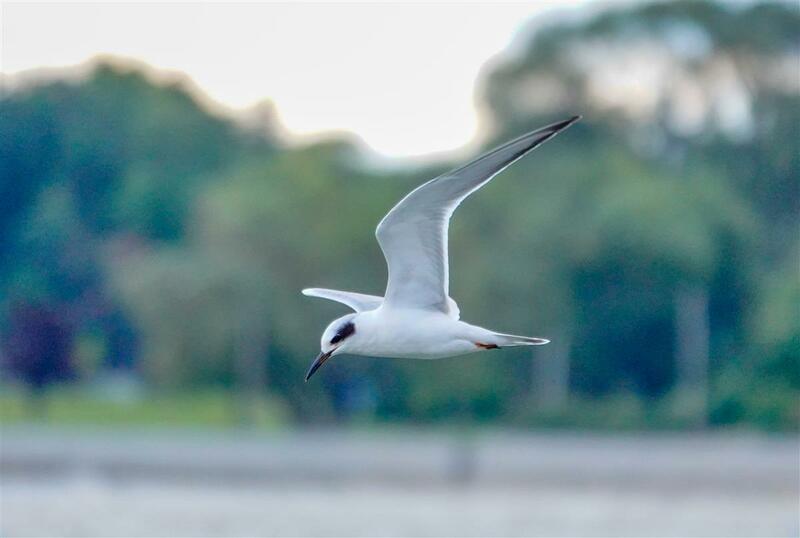 Forster's Tern in the Dunkirk Harbor on September 29th. 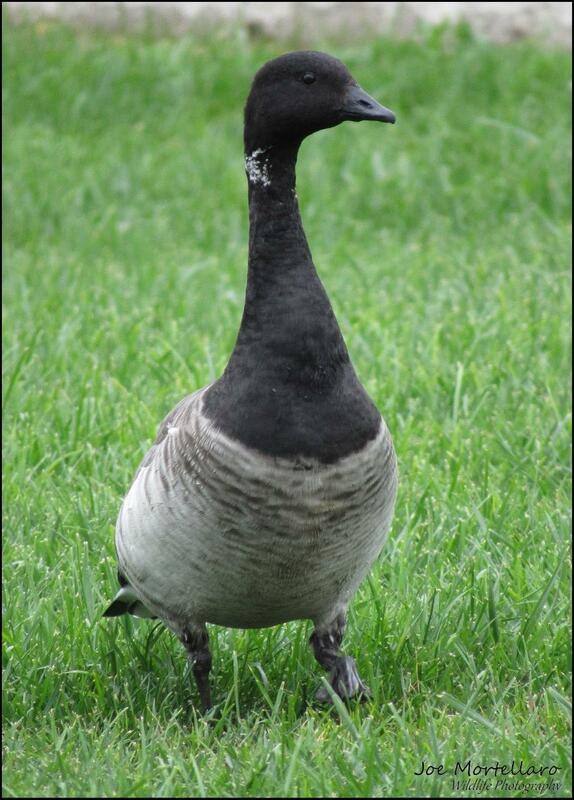 Cackling Goose found by Shelley Seidman on the 27th near the Irish Famine Memorial area of Erie Basin Marina . This bird moved on to La Salle Park where is remained until the 30th. 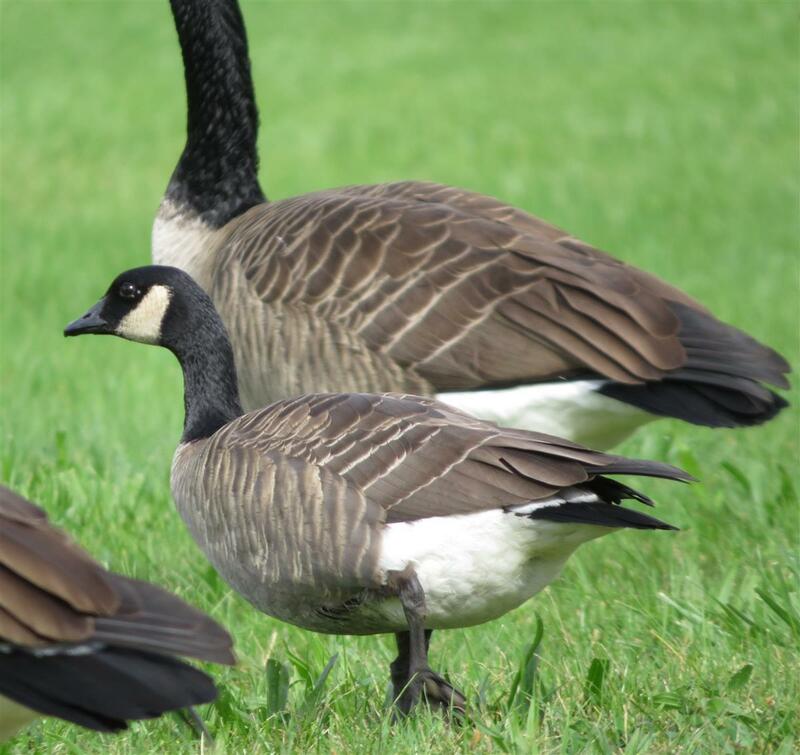 Josh Ketry relocated Seidman's Cackling Goose at La Salle Park on the 29th. This photo clearly exhibits the size difference between the two species. and a member of the New York State Ornithological Association.